The firearm that was seized was dropped by one of the three suspects as they ran to escape capture through the forest/trees. It was loaded and there was a round in the chamber. The caliber is 7.62 and all the magazines that are shown in photo are fully loaded. Based on evidence and markings on trees, the marijuana grow is most likely associated with The Norteños gang. Roman numerals XIV are carved in trees on the perimeter of the grow site. Caution tape was in some areas, strung up by the growers themselves, we have seen this in other illegal marijuana grow sites to keep unwanted people out, a warning to off-trail hikers. California State Park Rangers, assisted by multiple agencies, raided an illegal marijuana grow in Humboldt Redwoods State Park removing marijuana seedling plants, an assault rifle and toxic chemicals Monday, May 9, 2016. Three armed suspects were located in a nearby illegal camp near Bull Creek and fled on foot when contacted by law enforcement. The three suspects remain at large. At the illegal camp, rangers recovered an MK99 type assault rifle with hundreds of rounds of ammunition. Rangers also found rodenticides and Furdadan, a highly toxic pesticide, within the grow site. Approximately 2,000 seedling marijuana plants were removed. Twenty acres of State Park land had been illegally cleared of native vegetation. The marijuana plants were watered directly from water diverted from the tributaries of Bull Creek. Forty cubic yards of trash, fertilizers, pesticides, rodenticides, water hoses, hazardous material and other supplies were removed from the area. Disposal costs were paid for in part with assistance from the Humboldt County Public Works’ “Measure Z” public safety funding. The marijuana grow and camp was found within a quarter-mile of pristine old-growth redwood forest. Rangers were assisted by the California National Guard, California Highway Patrol, California Department of Fish and Wildlife and Lear Asset Management. A team from the AmeriCorps National Civilian Community Corps assisted with trash removal. 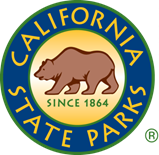 Anyone with information regarding this particular resource crime or others on our State Parks lands please contact California State Parks at (707) 445-6547.